The SXSW EDU PanelPicker process offers a unique glimpse at what’s top of mind throughout the education community, both at home and abroad. 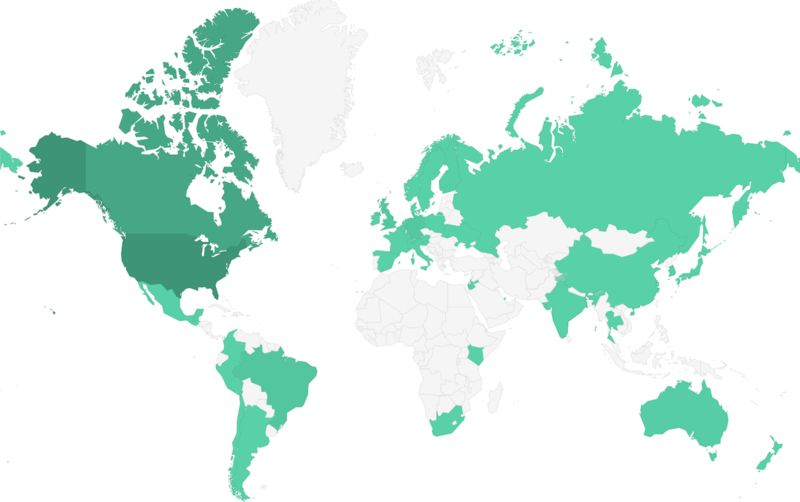 Participation in PanelPicker this summer resulted in 1,500 proposals for SXSW EDU 2019 with at least 40 countries represented, suggesting a robust appetite for global dialog. The countries with the most representation in PanelPicker (excluding the United States) are Canada with 73 speakers, Brazil with 26, the United Kingdom with 24, and Germany with 22. This data is reflective of each speaker’s home country during the time of their PanelPicker submission and does not account for individuals currently living in the U.S. or elsewhere. Explore these topics further and show support for the proposals you find most compelling by voting in PanelPicker through Thursday, August 30. To start PanelPicker voting, visit panelpicker.sxsw.com/vote and sign in or create a free account. After you’ve logged in to PanelPicker, you can begin the voting process. Select “SXSW EDU 2019” from the conference dropdown and filter through the proposals by session format, programming track, or level. You can also search for by title, description, speakers, or phrases using the search field. Cast your vote by selecting “arrow up” for yes or “arrow down” for no.